Thomas Keller's roast chicken courtesy simplyrecipes.com. Do NOT try this at home. I can’t carve a cooked bird to save my life. Even sober. Though let’s be honest I can’t even recall the last time I got to the carving stage with my feet in my shoes and my bra on the inside of my sweater. I start pretty well, but eventually am reduced to tearing away at the flesh with my fingers and flinging it on the platter so as to get it to the table while it’s still warm and the guests are still upright. Anyways, the always helpful Jamie Oliver has a video on his site demonstrating how to carve up a chicken and it looks so easy I may even try it again myself. By the way, that’s one of Jamie’s minions (presumably a relative) who carves up the bird. When I first cued it up I thought I’d opened that pesky time machine by mistake again. Now, I was considering starting a video series myself, but then I was thinking maybe I don’t have any particular skills to demonstrate. That was until I clicked on Jamie’s video of how to prepare a cooked lobster, and let me tell you that is just wrong. As I may have mentioned, I grew up in Maine where lobster shells are used as teething rings, and if there’s one thing I’m really good at, it’s extracting every last shred of edible foodstuffs from a lobster. And I don’t need no stinking knife to do it either, Blondie. So stay tuned. If you’re wondering how to choose a lobster (or any seafood for that matter), take a stroll through my archives. Posted on January 19, 2012, in Cooking, Dinner, The easy way and tagged Carving, Chicken, Drink and Food, Humor/Commentary, Lobster. Bookmark the permalink. 6 Comments. PS Got an email to say he’s posted a new video. Easy Scrambled Eggs! Made me think of “easy-cook” rice and those packets of ready-chopped onion or carrot you see in the supermarkets. Hardly rocket science to start with! Very sweet video. They’re so much nicer than I am. Thanks! Mother of God, I just watched him make chocolate mousse, and lovely though that little boy is, I’d have “lost patience” with the whole process, put him to bed and collapsed in a heap from the strain about 30 seconds in. That man is a saint. 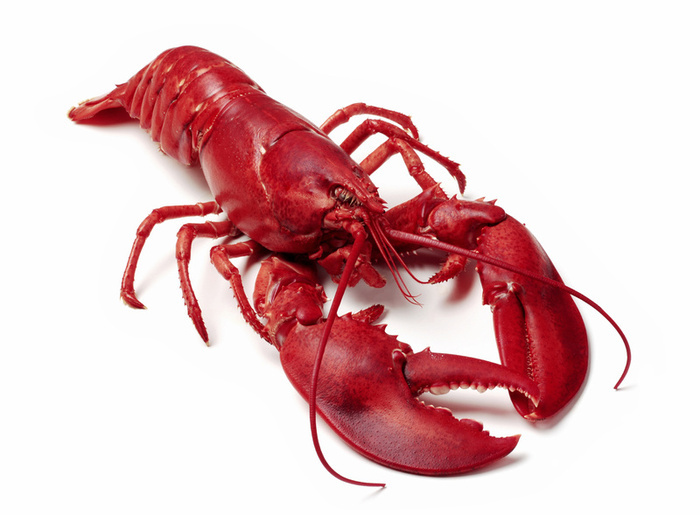 As soon as I get my hands on a video camera and can coerce someone into wielding it, I’m going to have at a lobster. And you are correct; it’ll take a good few drinks to get it right. Many thanks for the mention on your site. You are one of the few truly funny bloggers who also writes well — as a recovering business writer and lapsed ESL teacher I know whereof I speak. It’s so lovely of you to say so – that’s a lovely compliment, thank you!. Can’t we find a way to make a living out of our whitterings? SO looking forward to seeing you dealing with the lobster! His USP is that he cooks with his toddler (I mean with him as in the toddler acts as sous chef; I don’t mean he’s an ingredient). Yours, of cooking in a slatternly fashion with a glass of something, could work equally well? Secondly, to let you know I’ve now mentioned you as one of my nominations for the Versatile Blogger Award. See my latest post, hope you enjoy it.